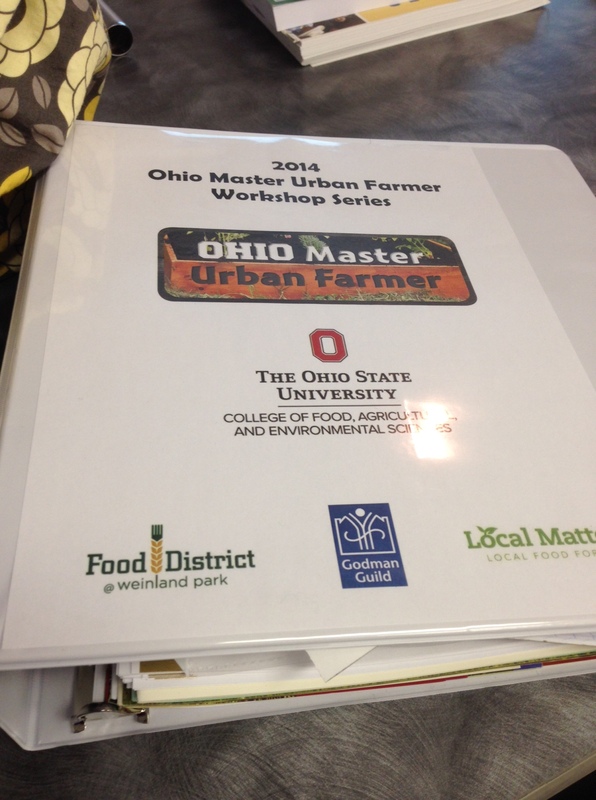 Tonight, I started a Master Urban Farmer workshop series. The class was scheduled to begin yesterday but a winter storm forced a late start. I hope this isn’t a bad omen for things to come this spring. 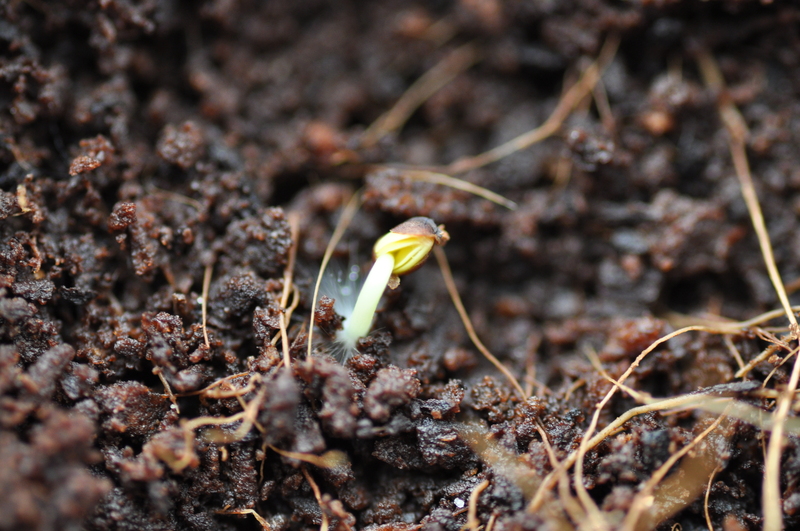 I guess I’d prefer to focus on the kale seeds that germinated on our windowsill in 48 hours. Either way, we have our work cut out for us. I found out about this series of classes when local gardening guru Trisha Clark suggested I contact Mike Hogan at the OSU Extension about taking a GAPs (Good Agricultural Practices) course to learn about safe handling of produce for distribution. Mike recommended the seven week workshop series, which will cover GAPs as well as lots of other things one would need to know to start an urban farming project of any size or scope – from site selection and soil testing to management of labor and marketing goods for sale. Tonight’s session provided an overview of urban farming in the 21st century with a focus on Columbus (I’ve been reading a lot about the history of urban farming nationwide and will share some of that another time), setting goals and objectives, and identifying a site. I think my favorite part of the class, however, was the introductions. With over forty people in the room, I wasn’t sure we’d get to any of the course content if we all had a chance to talk about who we were and why we were there. However, I was inspired to hear about community gardening initiatives around the city that I hadn’t heard of before like an international garden for new immigrants and workforce initiatives for developmentally disabled adults. I also got a sense of why other individuals and their families are joining the food revolution, much of which echoed my own – everything from the pure love of growing one’s own food, to a desire for self-sufficiency, to wanting one’s grand-kids to know where their food comes from. It was welcome inspiration. Never, in a million years, did I think I’d be in “school” again. Categories: Uncategorized | Tags: Coldest Winter on Record, Columbus Ohio, Food District, Godman Guild, Kale sprouts, Local Matters, Master Urban Farmer Workshop, The Ohio State University, Weinland Park | Permalink.